Blueberry ricotta waffles at Brookland’s Finest. Photograph by Scott Suchman. 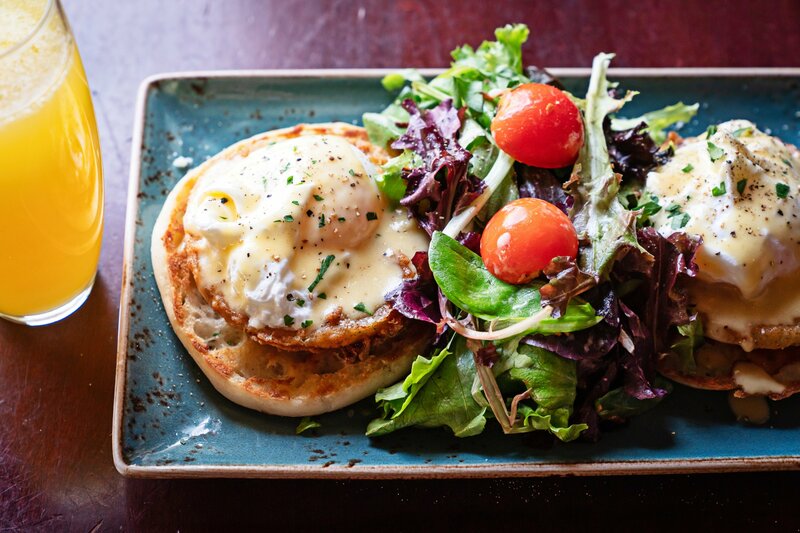 Make the most of a President’s Day Monday on February 18 with brunch dishes and bottomless mimosas at restaurants around Washington. Savory pies, creamy spreads, and mezze platters are all part Balkan brunch. 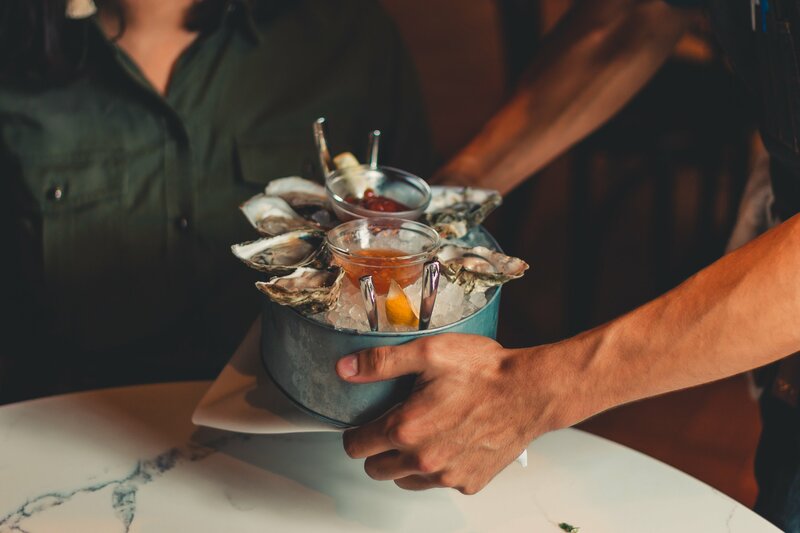 For those eager to sample widely, try bottomless plates and brunch drinks (must be ordered by the whole table, $39 at the DC location; $34 with 25 cent drinks in Clarendon). When: 10 AM to 3:30 PM at Ambar Capitol Hill; 9:30 AM to 3:30 PM at Ambar Clarendon. Fried green tomato benedict at Brookland’s Finest. Photograph by Scott Suchman. 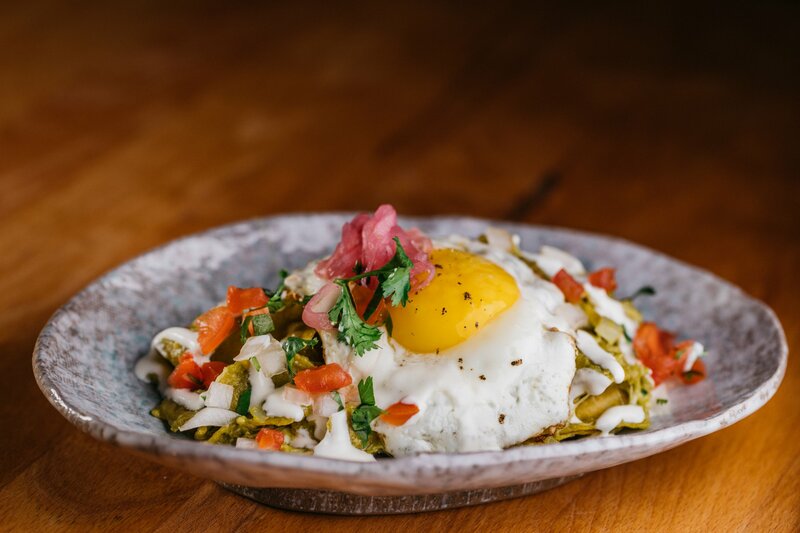 Chilaquiles are part of Buena Vida’s unlimited small plates deal. Photograph courtesy of Buena Vida. This Glover Park spot serves up pizzas alongside off-menu pizza bagels. Satisfy a sweet tooth with pastry chef Alex Levin’s pastry basket of rugelach, bombolini, and cookies. When: 11 AM to 3 PM. Oysters at Dyllan’s Raw Bar Grill. Photograph by Timothy M. Yantz. Eat your way through Spain with a brunch tasting menu featuring tapas and a mimosa or glass of cava. A la carte options are also available, like French toast with caramelized bananas and rum whipped cream. When: 11 AM to 3 PM at Jaleo DC and Jaleo Crystal City; 11 AM to 2:30 PM at Jaleo Bethesda. February’s unpredictable weather calls for comfort food like French toast, waffles, and savory crepes. The Bethesda location is offering $4 bloody Marys and mimosas, while the Reston outpost has a build-your-own-bloody bar. When: 11 AM to 4 PM. Customize your brunch cocktail with the mimosa box (select from four juices) or bellini box (select from three juices and a cordial). The menu features a diverse range of American dishes, from breakfast burritos to steamed mussels or vanilla French toast. When: 11 AM to 3 PM. The U Street location is serving brunch with shareable dishes like pizza, seafood platters, and spicy fried chicken. If you prefer your brunch to lean more breakfast, order from the list of eggs and Benedicts that come with a free brunch cocktail. When: Starts at 11:30 AM. 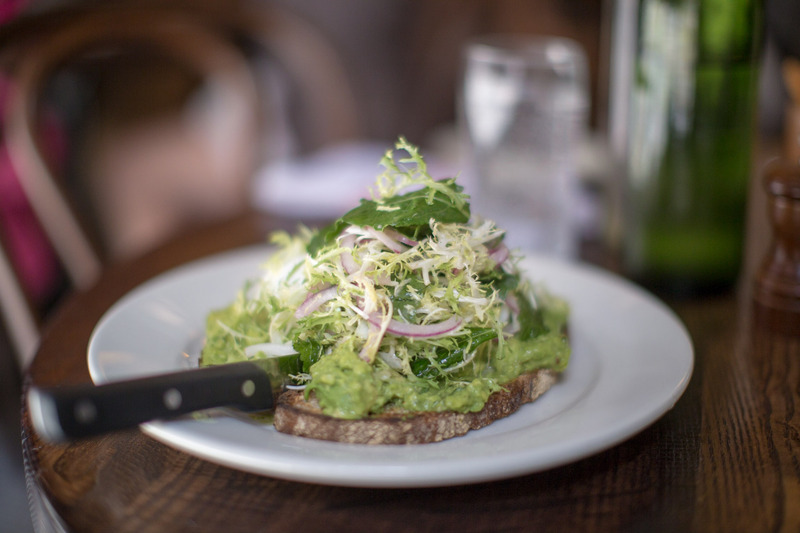 Avocado toast at the Smith. Photograph courtesy of the Smith.